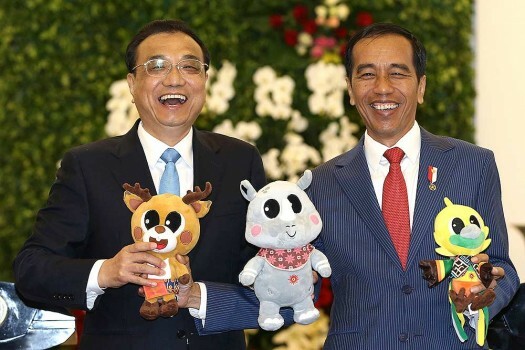 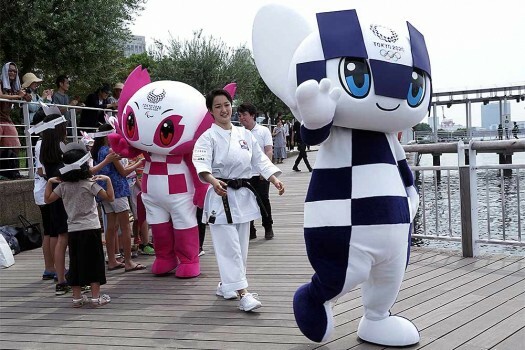 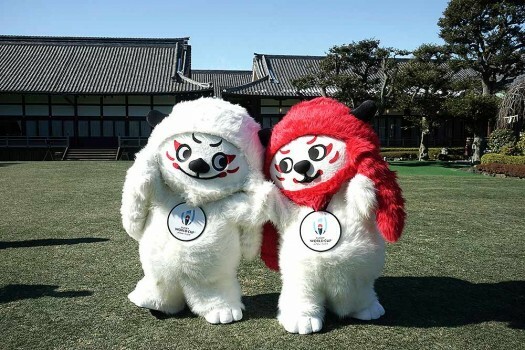 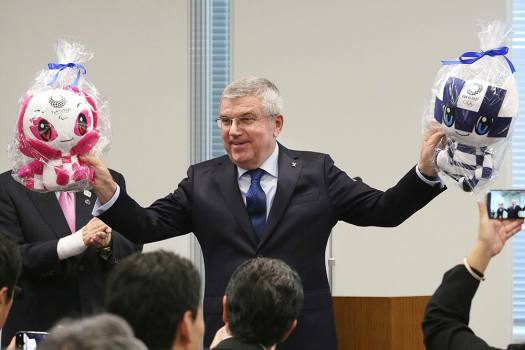 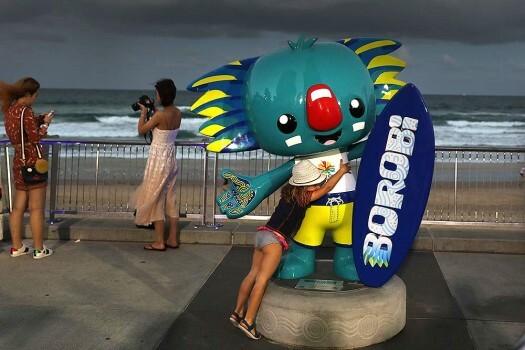 Tokyo 2020 Olympic mascot "Miraitowa" and Paralympic mascot "Someity" walk on the pier after their water parade with town's landmark "Rainbow Bridge" as back ground in Tokyo. 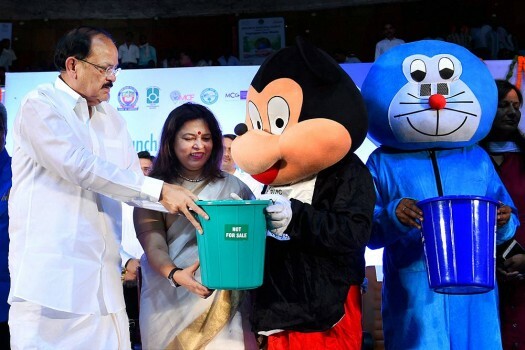 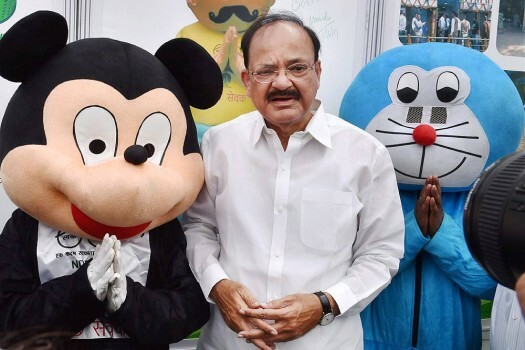 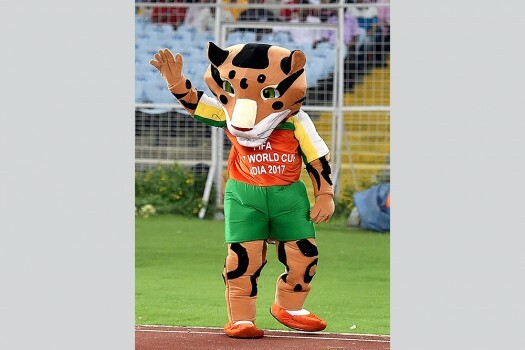 FIFA U-17 World Cup mascot Kheleo greets spectators during quarterfinal match between Germany and Brazil in Kolkata. 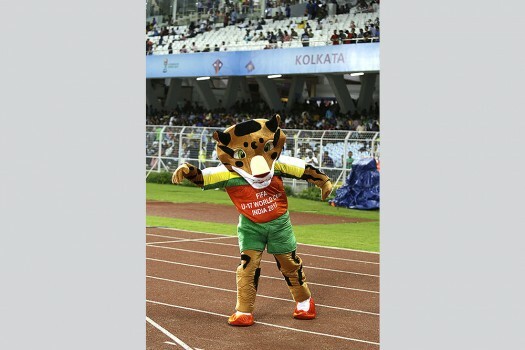 Official mascot, a Royal Bengal Tiger entertains prior to start of the FIFA U-17 World Cup match between Iraq and Mexico in Kolkata. 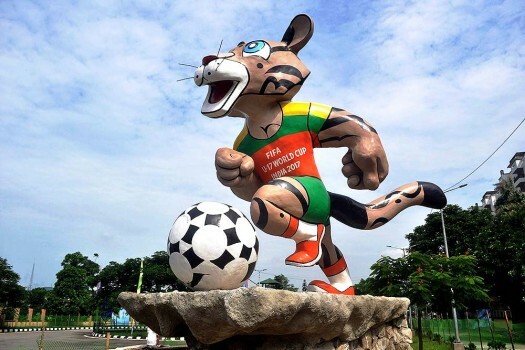 A view of statute of official mascot of FIFA under 17 world cup Football 2017 which is placed permanently at the main entrance of Indira Gandhi Athletic Stadium in Guwahati. 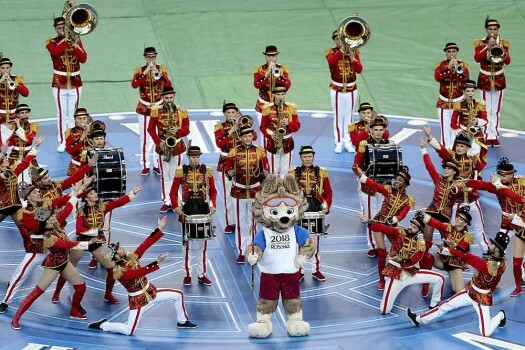 Zabivaka, the World Cup 2018 mascot, leads performing artists, during the closing ceremony of the Confederations Cup, at the St.Petersburg Stadium, Russia. 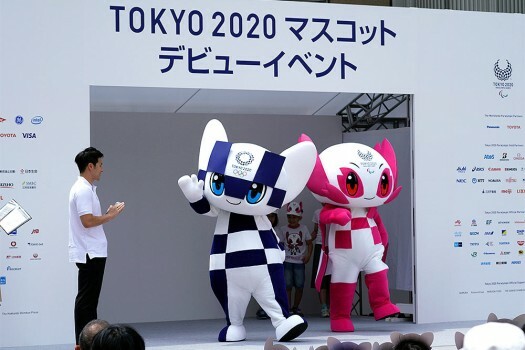 Miraitowa, when broken into two Japanese words, means future (mirai) and eternity (towa), while Someity is named after the cherry blossom variety "Someiyoshino" that is grown in Japan.